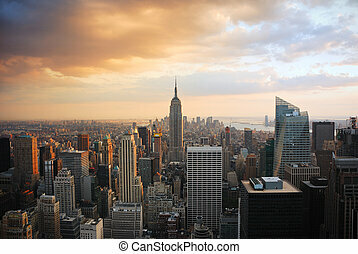 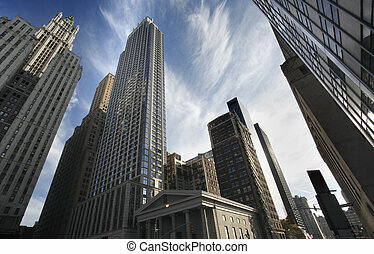 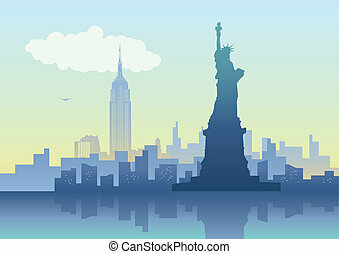 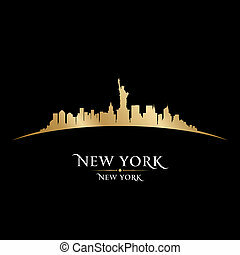 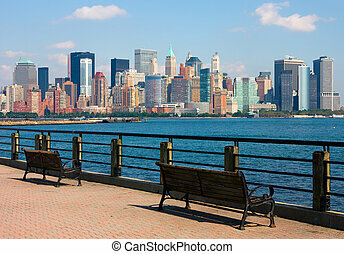 New york city skyline. 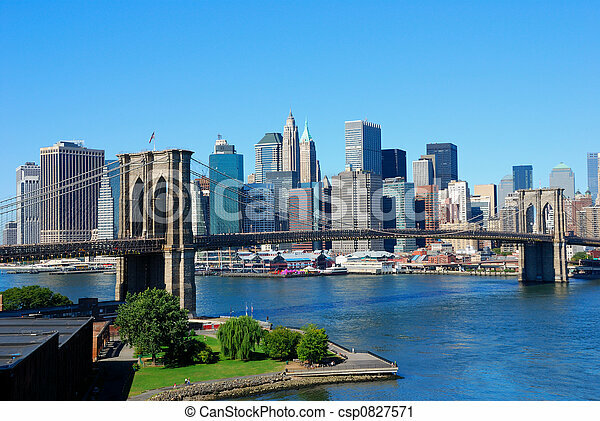 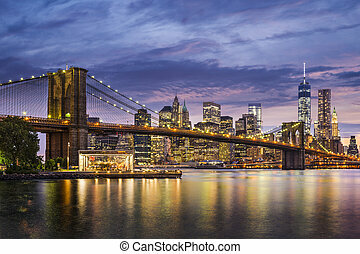 New york city skyline with brooklyn bridge. 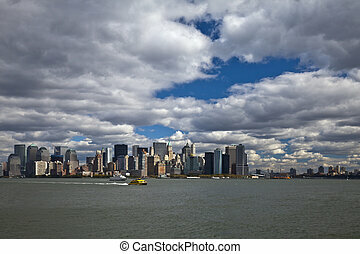 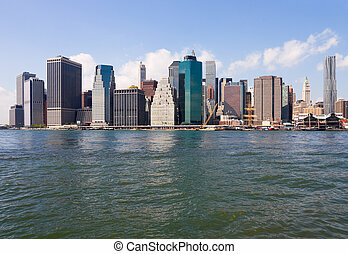 New York City Skyline over Hudson river with boats and skyscrapers. 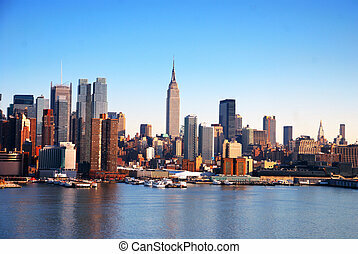 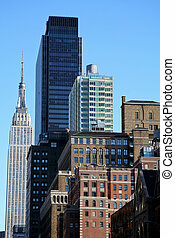 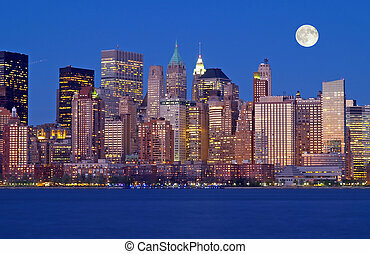 New York City Manhattan downtown district skyline panorama with skyscrapers over river with blue clear sky. 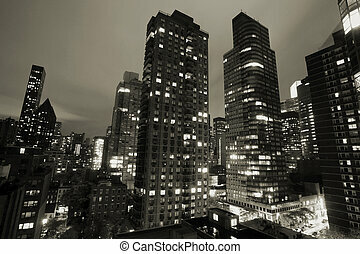 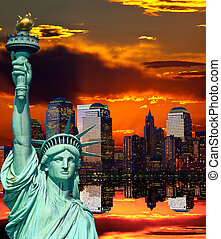 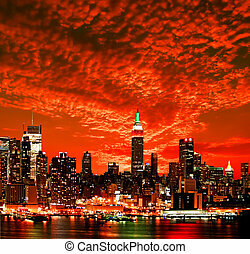 New York City, USA at twilight.